Glass highrises have blown up the inner structure of historical centers in big cities and begin to radically influence on the existing urban structure. Today cities experience a new construction boom, which can be called a ‘glass revolution’. Here different social groups with different comprehension of order coexist. What some people perceive as chaos, decay, degradation, others consider as a norm and order on a different level. While wandering in the virtual world, individualists worry about laws and order of the virtual world. They are comfortable with the chaos of urban fabric. The language of historical architecture is strange to them. The springs of glass highrises are perceived as a norm. BAGINA, Elena. Glass Revolution and Wanderers in the Virtual World. 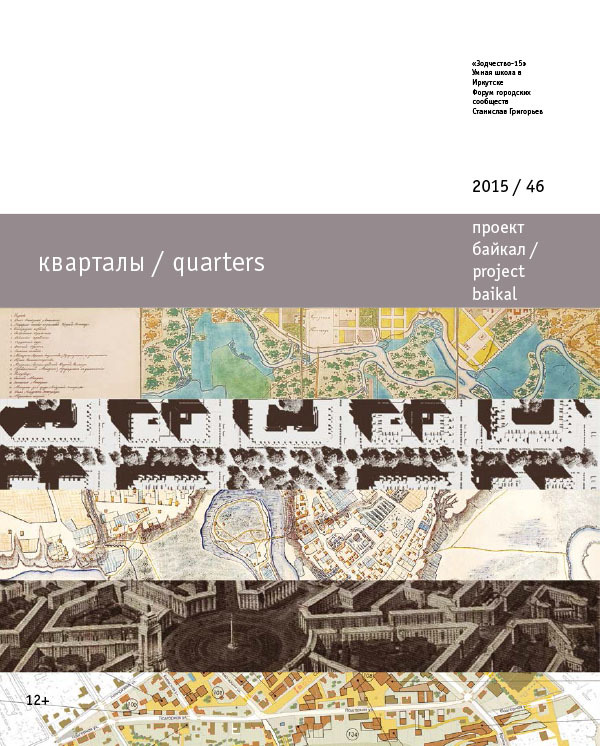 project baikal, Russian Federation, n. 46, p. 148-153, dec. 2015. ISSN 2309-3072. Available at: <http://projectbaikal.com/index.php/pb/article/view/968>. Date accessed: 26 apr. 2019. doi: https://doi.org/10.7480/projectbaikal.46.968.